The exchange offices listed on this page allow you to convert Bitcoin to Tether USD. Each of them had been thoroughly verified by us before they were included in the monitoring list. In order to buy Tether USD for Bitcoin, choose the preferred exchange (probably, the one with the best rate and optimal reserve) from the list on this page. Then navigate to the exchange site using the provided link. Follow the instructions posted on the site of the exchange office. When buying Tether USD for Bitcoin, please note that there are no more than 10 exchange offices on this page, that provide reasonable exchange rates. So if you want to see all the exchangers for the direction Bitcoin -> Tether USD, click the "Show all". If none of the exchanges on this page satisfy your demand for reserve, enter the amount of Bitcoin, you want to buy, into the form above the exchanges list, and click "Calculate". After that, the system will hide all the exchanges with the Tether USD supply of lesser than the required amount. If you want to convert Bitcoin to Tether USD with an additional discount, register as client of the respective site after you navigate to it using our link. As a result, you can get a client`s discount, in addition to the one that provides Magnetic Money e-currency monitor. 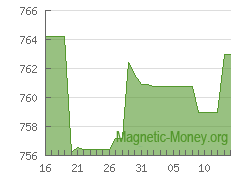 * This graph displays the dynamics of average exchange rate for BTC to Tether USD conversion during the last 30 days. It is based of the data provided by the Magnetic Money monitor for e-currency exchange rates. * This graph displays the dynamics of the total available reserve of Tether USD when converting BTC to Tether USD, during the last 30 days. 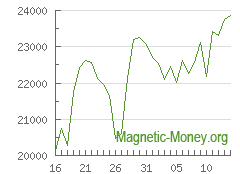 It is based on the data from Magnetic Money.